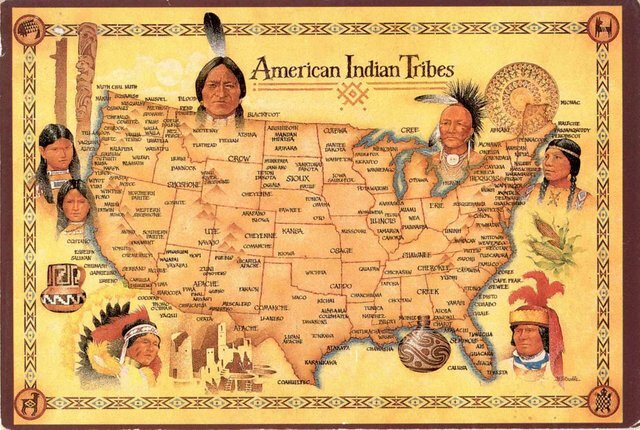 Add in some war, throw in some smallpox… Not much is said about how the Indian Americans were wiped out. Native American civilization’s fall is usually explained away with its inability to compete with the White Man’s technological prowess. In the decades between Columbus' discovery of America and the Mayflower landing at Plymouth Rock, the most devastating plague in human history raced up the East Coast of America. Just two years before the pilgrims arrived, the plague wiped out about 96 percent of the Native Americansin Massachusetts. In the years before the plague, a sailor named Giovanni da Verrazzano sailed up the East Coast and described it as "densely populated" and so "smoky with Indian bonfires" that you could smell them burning hundreds of miles out at sea. Historians estimate that before the plague, America's population was anywhere between 20 and 100 million (Europe's at the time was 70 million). The plague would kill at least 90 percent of the native population. The Black Plague was far more merciful, having only killed off between 30 and 60 percent of Europe's population. It wasn't that White people overwhelmed the Native Americans; rather, it was their first unknowing use of biological terrorism that destroyed most of their rivals. American Indians lived in balance with mother earth, and were were leaving behind a small carbon footprint because they were hippies who smoke weed everyday. The Indian Americans were so good at destroying forests that a team of Stanford environmental scientists think they caused a mini ice age in Europe. When most of the Indian Americans died in the plague, so many trees grew back that it had a reverse global warming effect. More carbon dioxide was sucked from the air, the Earth's atmosphere held on to less heat. Cahokia is a massive Native American city located in modern day East St. Louis. While the city was abandoned by the time White people got to it, the evidence they left behind suggests a complex economy with trade routes from the Great Lakes all the way down to the Gulf of Mexico. In 1250, it was bigger than London, and featured a sophisticated society with an urban center, satellite villages and thatched-roof houses lining the central plazas. And that's not even mentioning America's version of the Great Pyramid: Monk's Mound. Cahokia's pyramid dwarfs any of Egypt’s, both in size and in degree of difficulty. The mound contains more than 2.16 billion pounds of soil, some of which had to be carried from hundreds of miles away, to make sure the city's giant monument was vividly colored. No trucks, just human labor moved a literal mountain of earth. Columbus Didn't Discover America….. The Vikings did. Here's what we know. It was Vikings who set up a successful colony in Greenland that lasted for 518 years (982-1500). To put that into perspective, the white European settlement currently known as the United States will need to wait until the year 2125 to match that longevity. The Vikings sent several expeditions down south to try to settle what they called Vineland -- which historians now believe was the East Coast of North America. After spending a couple decades sneaking ashore to raid "Vineland" of its wood pulp, the Vikings tried to settle North America in 1005. They set up the first successful European American colony, for the grand total of two years. They were soon expelled, their leader struck in the heart by a Native American arrow. If the Native Americans had been able to resist their diseases, there was no way in heck White people could settle the land without being repeatedly beaten by large sticks and stabbed with larger pointier sticks. Columbus discovered America, his crew was about to throw him overboard, when land was spotted in the nick of time. Until the pilgrims showed up and successfully settled the country for the first time, there was never any reason for Europeans to head over there….. with nearly 150 years in between these two events where absolutely nothing happened. First of all, Columbus wasn't the first to discover America. Nor were the Vikings, since technically the Native Americans had come from decendents who had crossed over to that land when they had left Africa for the rest of the world several millennia ago. His voyage wasn't even particularly difficult; they enjoyed smooth sailing and his life was never in real danger. Columbus died wealthy, and knew exactly what he had found; he wrote in his journal, "I have come to believe that this is a mighty continent which was hitherto unknown." When he couldn't find enough gold to make his voyage profitable enough, he focused on enslaving Native Americans. Columbus discovered America and invented American slavery in the same 15-year period. There were plenty of unsuccessful (mostly horrible descents into cannibalism) attempts to settle America between Columbus' discovery and the pilgrims' arrival. It wasn't coincidence that the pilgrims settled America two years after New England was emptied of 96 percent of the Indian Americans who lived there. According to James W. Loewen's Lies My Teacher Told Me, the plague would clear the path for the pilgrims to settle on the corpses of Native Americans. The pilgrims were the first in a parade of brave settlers who pushed civilization westward along the frontier, enduring harshest of conditions, to tame the land as it stands today. In written records from early colonial times, you constantly come across "settlers" being shocked at how convenient the American wilderness made things for them. The eastern forests, generally portrayed by great American writers as a "thick, unbroken snarl of trees" no longer existed by the time the white European settlers actually showed up. The pilgrims couldn't believe their luck when they found that American forests just naturally contained “garden plots, blackberry rambles, pine barrens and spacious groves of chestnut, hickory and oak." Frontiersmen who settled what is today Ohio discovered that the forest there naturally grew in a way that "resembled English parks." The pilgrims specifically chose Plymouth specifically because it was a recently abandoned town. They chose Plymouth Rock because of "its beautiful cleared fields, recently planted in corn, and its useful harbor." We're told that the pilgrims were helped by an Indian American named Squanto who spoke English. How did that happen? Squanto was from the town that would become Plymouth, but between being born there and the pilgrims' arrival, he'd undergone slavery, was shipped to Europe and had to escape his masters before boarding a ship back home. And what he discovered was truly tragic. Squanto had been kidnapped from Cape Cod by White settlers as a child and sold into slavery in Spain. He escaped and learned enough English to convince someone to bring him to "the New World." When he finally got back home, he found his town deserted. The plague had swept through two years before, killing everyone. He decided that since nobody else was using the land he would share his knowledge with the pilgrims, who had taken so much from him, and teach them how to survive on the graves of his family and friends. Compare that to Jamestown, the first settlement, its inhabitants were starving to death because they did not know how to grow their own food. The first Virginians were so desperate that they went from taking Native American slaves to offering themselves up as slaves to the Indian Americans in exchange for food. Jamestown is the oldest successful colonial settlement in America, but it makes for a less heroic tale than that of the pilgrims. Your post has been read and you did great! You received a 10.0% upvote from us for your post with the history tag since you are not yet a member of the geopolis community. You are always welcome to join us and get more recognition for your posts. You can find more information about geopolis here or join our Discord server.